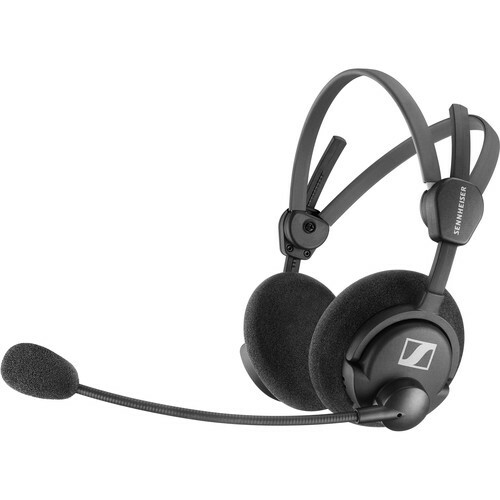 The double-sided Sennheiser HME 46-31-II is a lightweight and comfortable headset designed specifically for air traffic control communication and C3 (Command, Control, and Communication) applications. The flip-away noise cancelling microphone delivers highly intelligible speech by filtering out ambient noise to ensure effective communication. Building upon the success of the original 46-Series headsets, the MKII no longer have to conform to the requirements of aircraft cockpit-grade headband caliper pressure, resulting in a more comfortable headset for extended wear. The patented two-piece headband and soft earpads offer a personalized fit that also helps to reduce wearing fatigue. The Sennheiser HME 46-31-II is compatible with a wide variety of optional accessories and ships with a cable clip and a wind/pop screen.